This post was originally published on GSB's website as a GSB Client Update on July 9, 2018. Although Section 411(a) of the U.S. Copyright Act states clearly that “Although Section 411(a) of civil action for infringement of the copyright in any United States work shall be instituted until . . . registration [or refusal of registration] of the copyright claim has been made,” not every judicial circuit in the United States has agreed how to interpret this requirement. The U.S. Supreme Court’s recent grant of a petition for writ of certiorari in the case, Fourth Estate Public Benefit Corp. v. Wall-Street.com LLC, may resolve the current federal circuit split, deciding for the country whether a copyright must be fully registered or just applied-for before a copyright infringement lawsuit can be filed. The Fourth Estate case involves a copyright owner whose application for copyright registration had not yet been granted or refused when the copyright infringement suit was initiated, so the judge in the Eleventh Circuit dismissed the suit based on that Circuit’s interpretation of Section 411(a) of the U.S. Copyright Act. 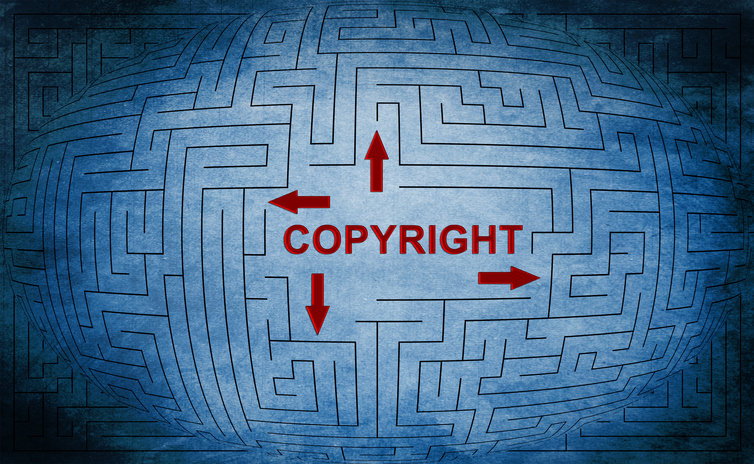 Currently, the Tenth and Eleventh Circuits follow the “registration” approach, strictly requiring actual registration (or refusal of such) before a copyright infringement lawsuit can be filed, which is based on the decisions M.G.B. Homes, Inc. v. Ameron Homes, Inc. (1990), and La Resolana Architects, PA v. Clay Realtors Angel Fire (2005). On the other hand, the Fifth and Ninth Circuits (and to a certain extent the Eighth Circuit) have followed the “application” approach, allowing litigants to file suit even if their copyright application is on file but still pending with the U.S. Copyright Office (see Positive Black Talk Inc. v. Cash Money Records Inc. (2004); and Cosmetic Ideas, Inc. v. IAC/Interactivecorp et. al (2010)). The rationale has been that once the U.S. Copyright Office processes and registers or rejects an application, the effective date of that determination is the date on which the application was filed, so lawsuits should be permitted once the application date has been secured. Additionally, because the potential litigant cannot control the speed at which the U.S. Copyright Office processes applications, and the only prerequisite to registration for works that are copyrightable is a completed application, an application date is sufficient. The Seventh Circuit has made decisions on both sides of the “registration” / “application” issue, and the First and Second Circuits have expressly declined to choose an approach, leaving decisions to individual District Court judges. Interestingly, the U.S. Supreme Court already seems to have determined that copyright registration is not a prerequisite to a U.S. court’s jurisdiction over a copyright suit in Reed Elsevier, Inc. v. Irvin Muchnick et. al. in 2010. However, the Fourth Estate is not considered a jurisdictional case, therefore the Supreme Court’s upcoming decision will have broader practical implications for copyright owners in addition to addressing this interesting legal question. To date, potential litigants who are not lucky enough to have the option to file in an “application” circuit have to pay a substantial fee to try to expedite registration with the U.S. Copyright Office or try to establish sufficient justifications for filing in the Fifth or Ninth Circuits, and hope that the case does not get transferred. The writ of certiorari granted in the Fourth Estate case will hopefully confirm and clarify that the Muchnick case, even though it focused more on formal restrictions of federal court subject-matter jurisdiction, did indeed establish the legitimacy of the “application” approach for copyright infringement litigants. Now that the petition for writ of certiorari has been granted in the Fourth Estate case, the parties are expected to soon file their written briefs with the Supreme Court, laying out arguments of why their side should win, and non-parties may also file amicus briefs to inform and persuade the justices, should they so desire. With the exception of very rare instances, since the Supreme Court maintains no backlog, all cases are typically heard and decided in the same term; therefore, a decision is expected early next summer.